These days, the choice of different finishes for your new kitchen cabinets is huge. Improvements in finishing technology means you can enjoy a cutting-edge, premium kitchen at an affordable price. The only problem you’ll have is there’s too much choice! To help you narrow down your decision as to which surface to go for, we’ve put together a brief explanation of each with the pros and cons. This will help you have a better understanding of the different kitchen cabinets finishing. Lacquer finish will give you a hard, durable surface that will last for years without flaking or discolouring. The type of lacquer used for kitchen doors is very similar to the paint used to spray cars and therefore offers long term durability and colour consistency. 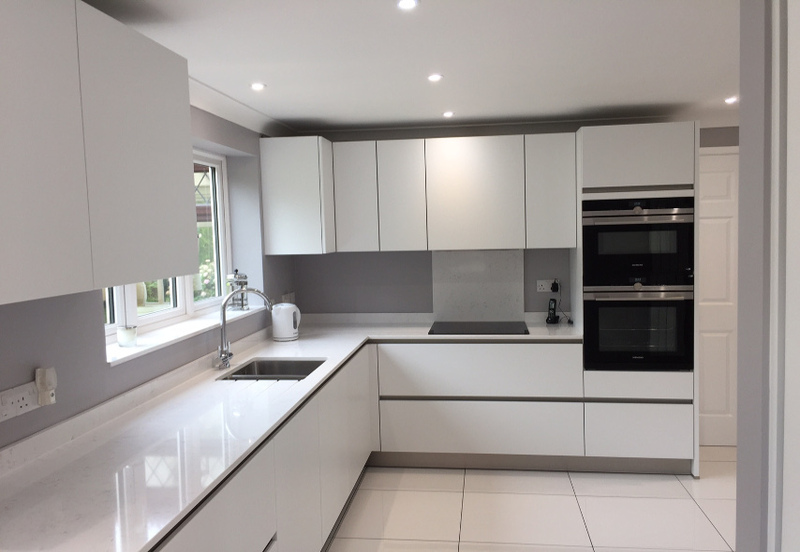 A high gloss finish has been an enduringly popular choice for people wanting a contemporary kitchen. It gives your cabinets a shiny, reflected finish which adds more brightness to the room, making it a great choice for smaller kitchens. High gloss surfaces are easy to clean, but make sure you use a non-scratch cloth. 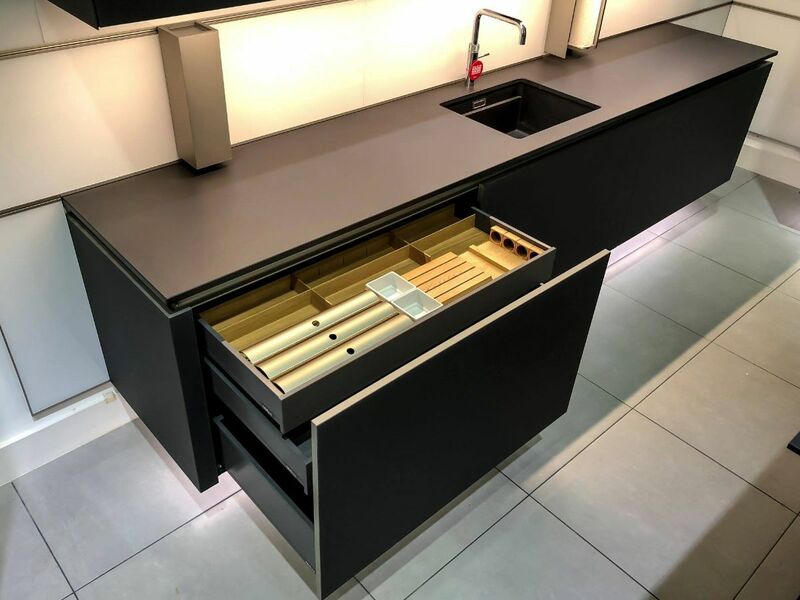 One of the main disadvantages of high gloss cabinets are that fingerprints, dirt, and scratches tend to show up, especially on darker colours, so you need to be aware that it’ll need more work to keep it looking shiny and fresh. A matt finish is good if you want your kitchen to have a more muted tone. And because the light doesn’t bounce off the surfaces, your kitchen will have a more subtle appeal. A matt finish will give you the same protective qualities as a high gloss lacquer, but it won’t show up the fingerprints or dirt so much. Having a matt finish is more practical if you have young children. 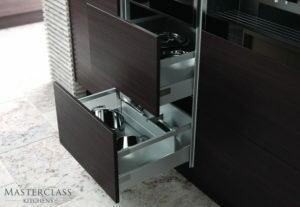 Having wood veneers on your kitchen cabinets will give you the beauty and feel of a natural, timeless element in your home, this is often combined in today’s designs with non-natural materials, the trick is to achieve a balance between the two The veneers are sourced from real wood and because of this they are among the dearer door choices. Of course, once you’ve decided on the finish, you’ve got the problem of choosing the best colour! 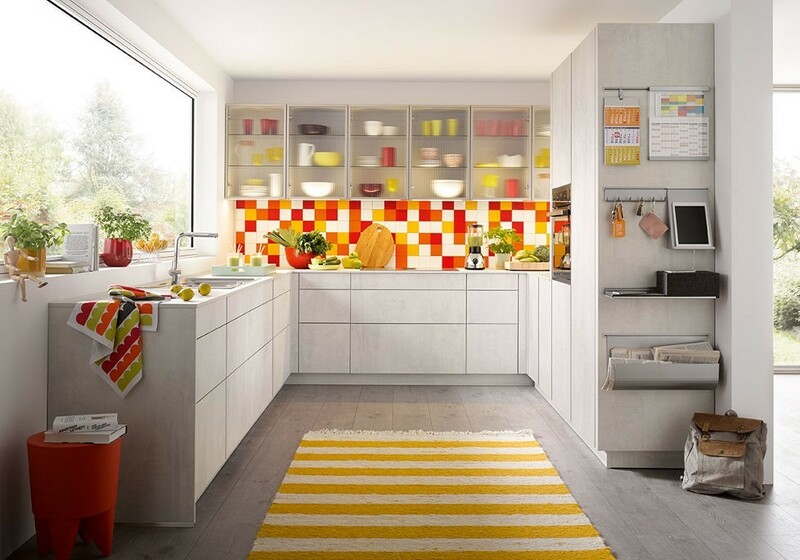 To help you make up your mind about the huge range of finishes and colours available on Schüller kitchen cabinets, visit our Hertfordshire/North London showroom and talk to our leading German kitchen designers.